We are thrilled to offer you a high-definition 2 foot x 6 foot banner design. You can have these printed through Staples for roughly $35.99 plus tax. Please do not download the image above, it is NOT the correct size for the banner and will not look correct when printed as a 2 foot x 6 foot banner. Instead, click/touch HERE to reach the full-sized image, this is a LARGE (approx. 14 mb) file so please be sure to either right-click to “save as” onto a desktop/laptop or directly into an online storage program, such as dropbox. *Note: After you click above, you will need to then download by right-clicking to save the image, just as you would any other graphic/photo. The exact method will depend on your device. Click/Touch here to go to the Staples website to upload and order as a banner, be sure you are selecting a 2 foot by 6 foot portrait banner. *Note: we have zero affiliation with Staples and cannot guarantee their work. We are not responsible for the printing of any business/company. We are not being paid or compensated in any way for providing this link. We are ONLY providing the banner design and you agree to these terms upon use of our free design. Don’t forget to subscribe to our blog, we will have more event banners coming soon! 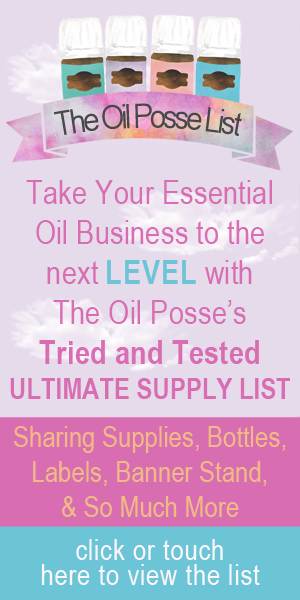 This entry was posted in Banners, Marketing Material, Vendor Events and tagged Banners, Essential oils, Event Banner, Marketing Material, Staples, The Oil Posse, The Oil Posse Team, Vendor Events, Young Living on April 17, 2016 by Jordyn Lei.